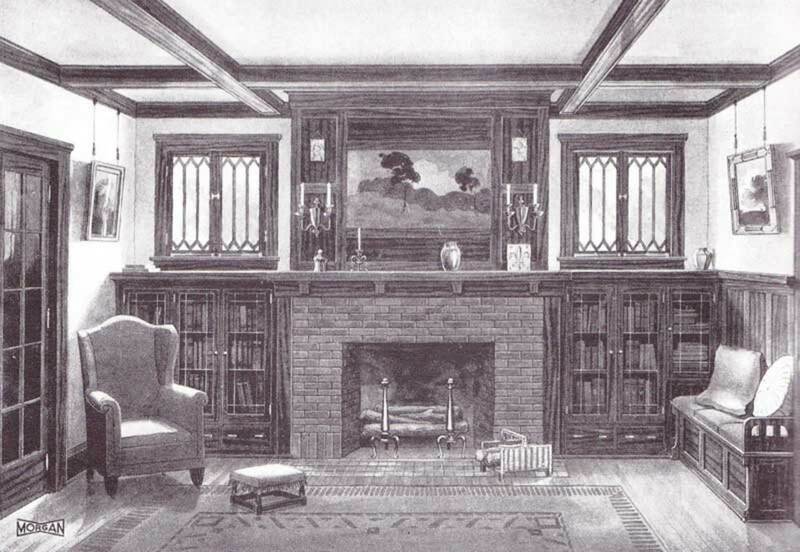 Despite the prevalence of art tile for revival fireplaces, brick and concrete were as common during the Arts & Crafts period. 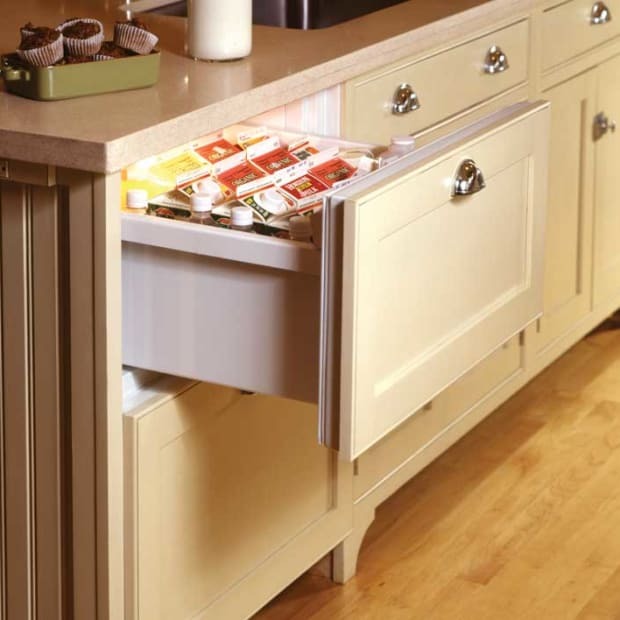 An almost identical pairing appeared in Morgan Woodwork’s catalog of 1921. Proportions and massing are just as important as the material used on the face. 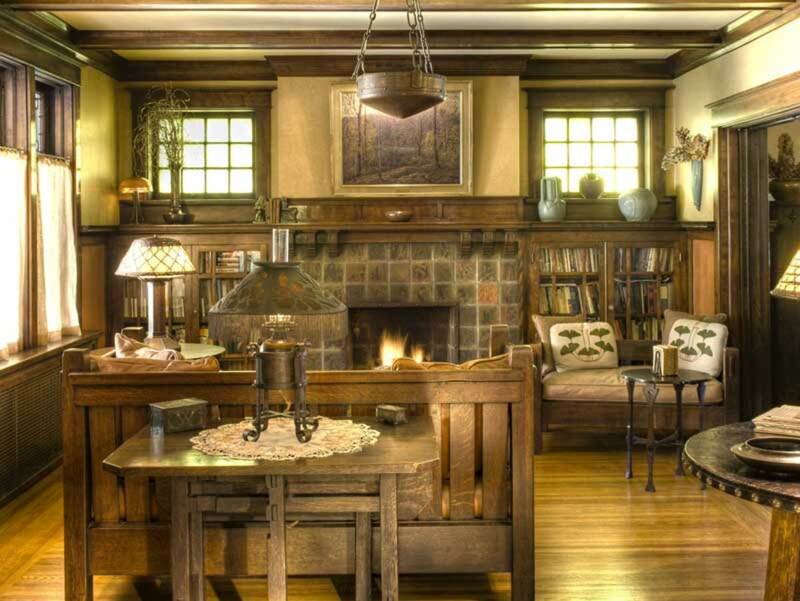 Unlike the classical proportions of fireplaces in most homes built from the 18th to early 20th centuries, Arts & Crafts fireplaces are broad and sometimes blocky, often flanked by bookcases or bookended by seating areas termed inglenooks. 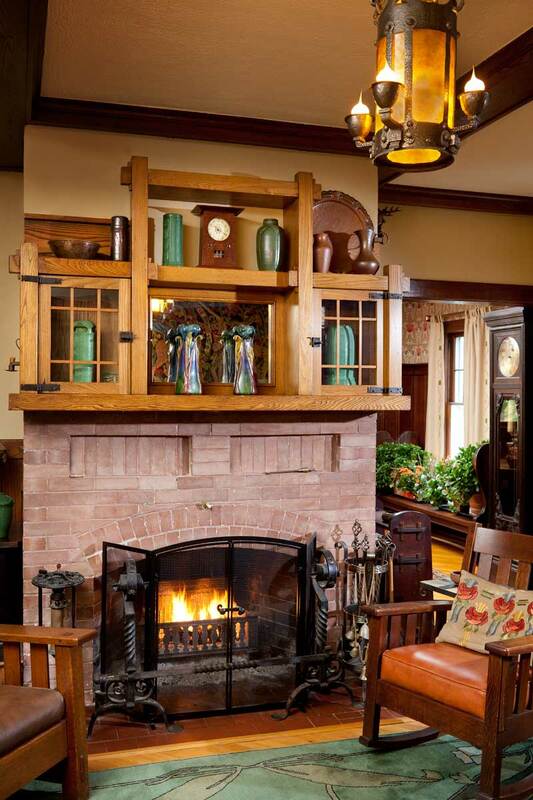 In transitional fireplaces with tall and narrow coal-burning fireboxes, the brick or tile is scaled down to fit a smaller, narrower hearth; glossy lozenge-shaped 1½" x 6" or 1" x 3" tiles are typical, similar to those in late Victorian fireplaces. Surround patterns were inventive, especially in brick and tile. 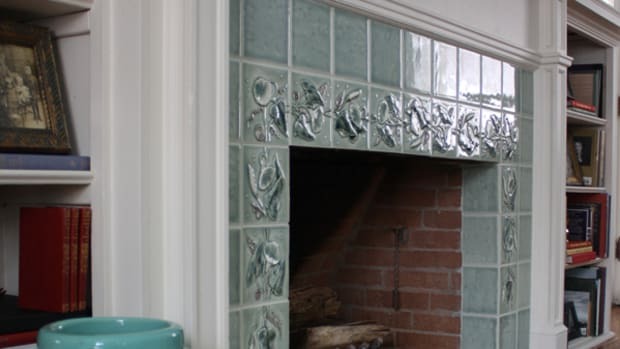 If you are lucky enough to have an original brick or tile fireplace in good condition, do not feel compelled to paint, reclad, or otherwise jazz it up. 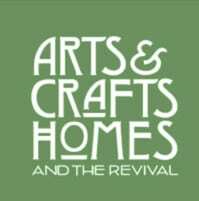 Even a deceptively simple brick or tile surround is an authentic bit of Arts & Crafts decorative history. For centuries, bricks have been standardized at 4" wide x 4" tall x 8" long. 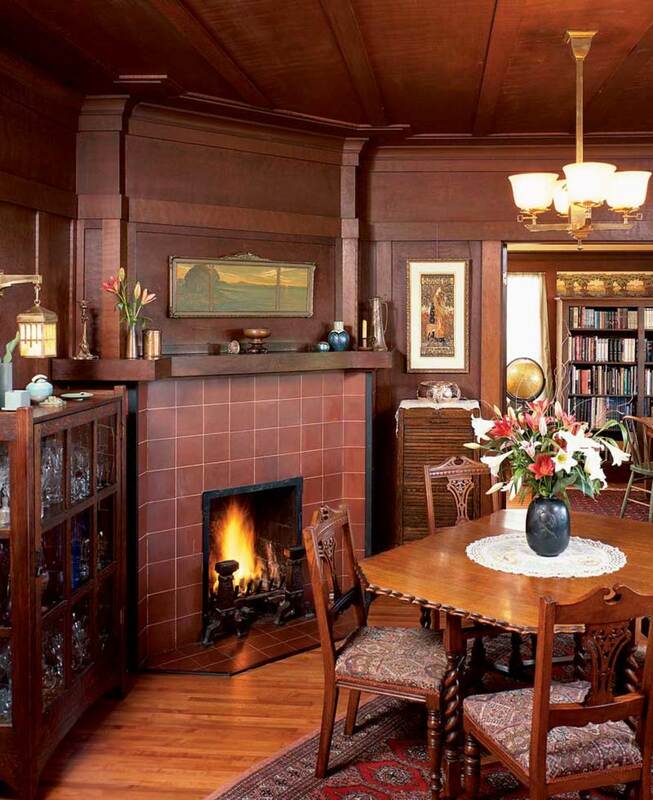 One exception is Roman brick, favored by Frank Lloyd Wright in many of his Prairie fireplaces. Narrow Roman bricks measure 4" wide x 2" tall x 12" long. These standard dimensions lend themselves to a running-bond pattern, where the joints in each row are staggered by half a brick—a classic look for Craftsman and Prairie styles. If the running-bond pattern is most typical—especially given the stout width of many hearths—vertical running bond also appears, often where the hearth is taller than it is wide. In other instances, the running-bond pattern might be interrupted by sections of brick turned at right angles or fanned to create arches and other pattern variations. 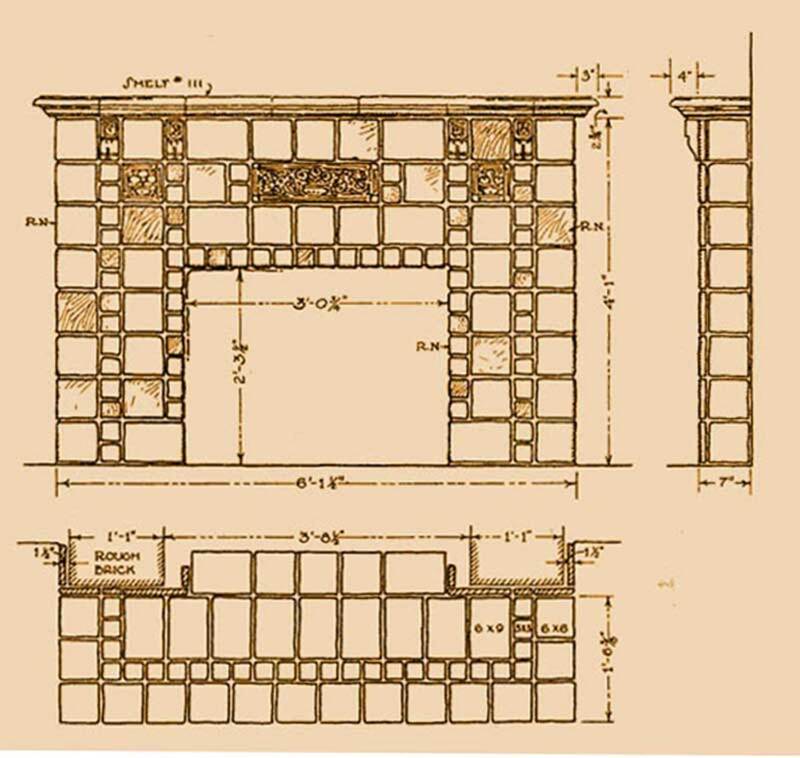 In some cases, single bricks are inserted below the mantel in lieu of corbels, or rows of projecting bricks laid to create a recess or its illusion. 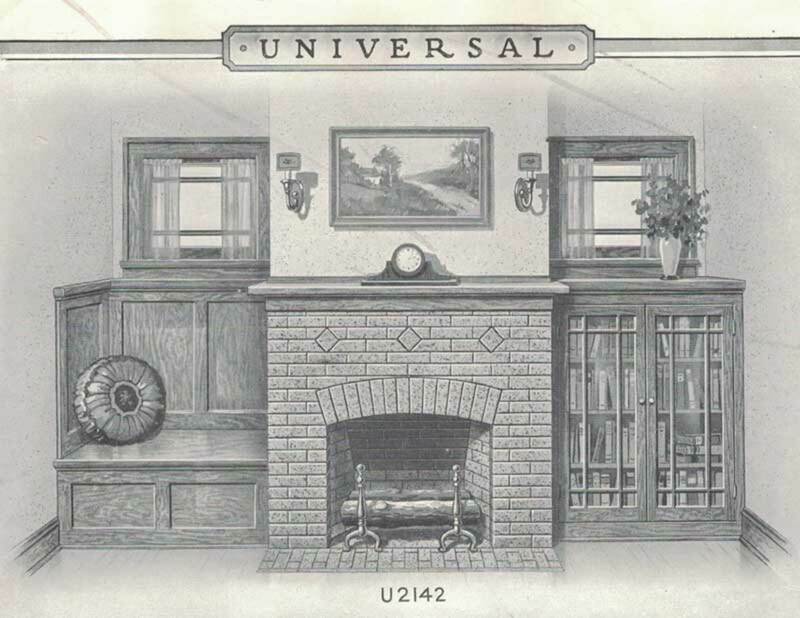 A variation from the Universal Design Book, 1927) includes an arch over the firebox, and patterns formed by bricks on the diagonal or by adding accent brick. For real texture, though, it was common to intersperse a mantel mostly made of brick with locally available stone, an accent tile or two, or (most delightfully) clinker brick. Once a low-cost alternative to standard brick, misshapen and vitrified clinker bricks gave a fireplace a sought- after organic appearance. 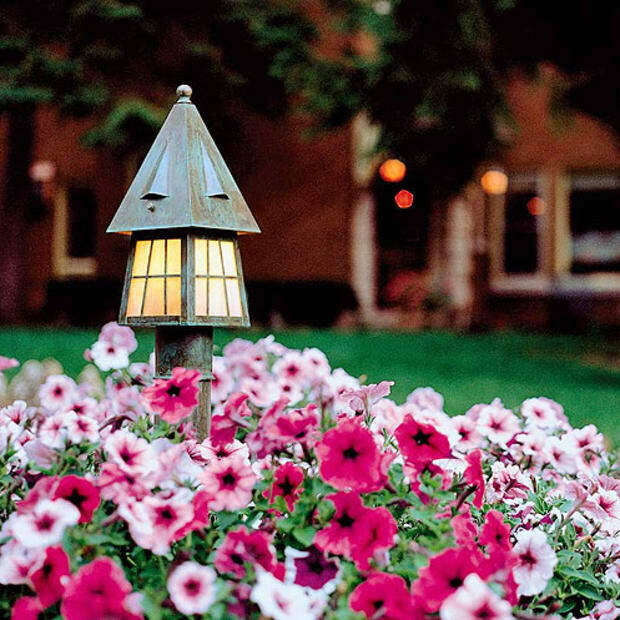 Period brick colorations are earthy, running from light pink and buff to deep reds, purples, and browns. Clinkers, of course, offer a more extreme range of colors, from fire-engine red or flaming orange to blackish-purple. Another exception is bricks clad in terra cotta, offering a more smoothly finished look than regular brick. Tile installations from the early years of the Arts & Crafts era look subdued compared to contemporary installations. They’re often subtle, geometrically simple compositions of matte-glazed field tile. 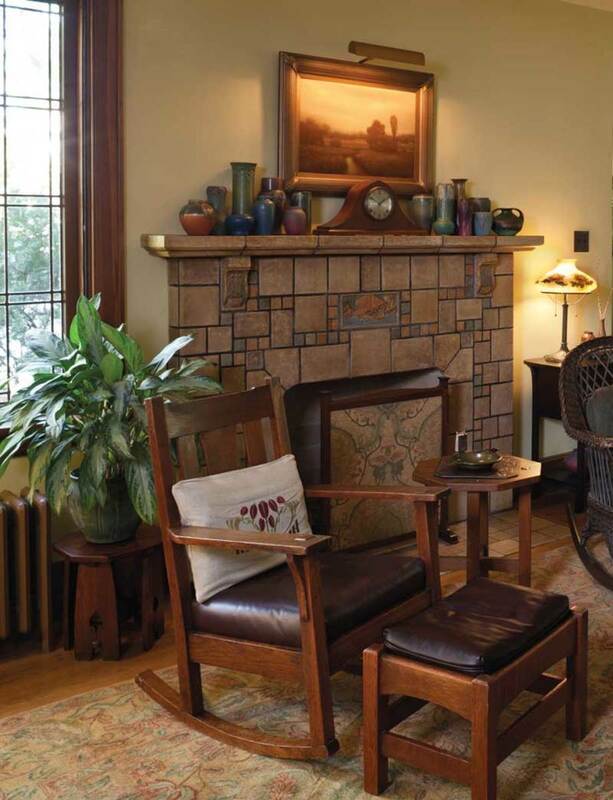 In a fireplace in a 1910 California Bungalow designed by architect Glen Jarvis, for example, the field tile is scaled to fit the proportions of the fireplace surround enclosing the firebox opening. The “legs” at left and right of the opening are exactly two tiles wide. The bridge between the legs (i.e., the center over the firebox) is exactly two rows deep. 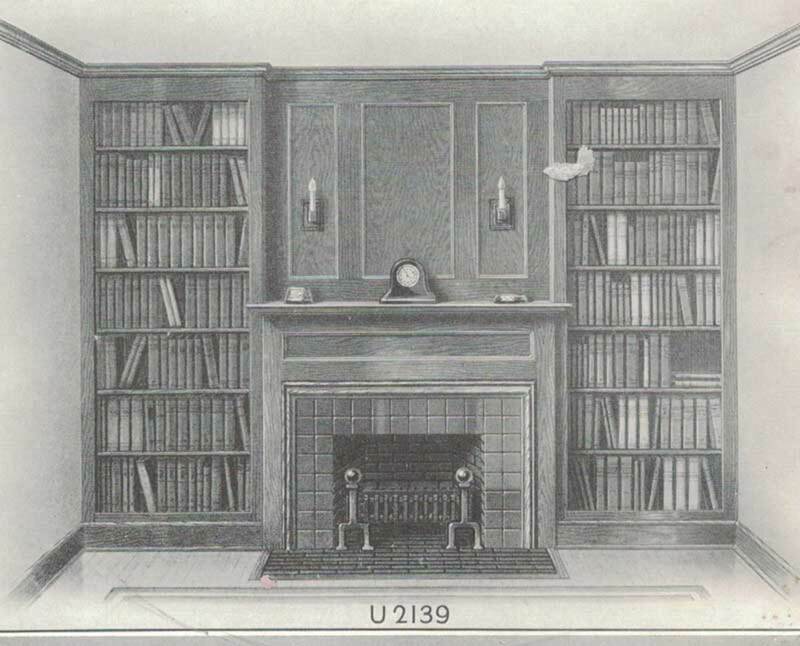 A close variation from the 1923 Batchelder-Wilson catalog. Relief tile and scenic tile were unusual before about 1915. (In 1910, Ernest Batchelder was a West Coast pioneer influenced by the older Grueby Faience and Moravian Tileworks in the East.) When more decorative tiles came along, they arrived in a big way. Much of the art tile we think of as Arts & Crafts actually reflects the styles, designs, and glaze colors made by dozens of potteries in the 1920s, when tile production was at its pre-World War II height. 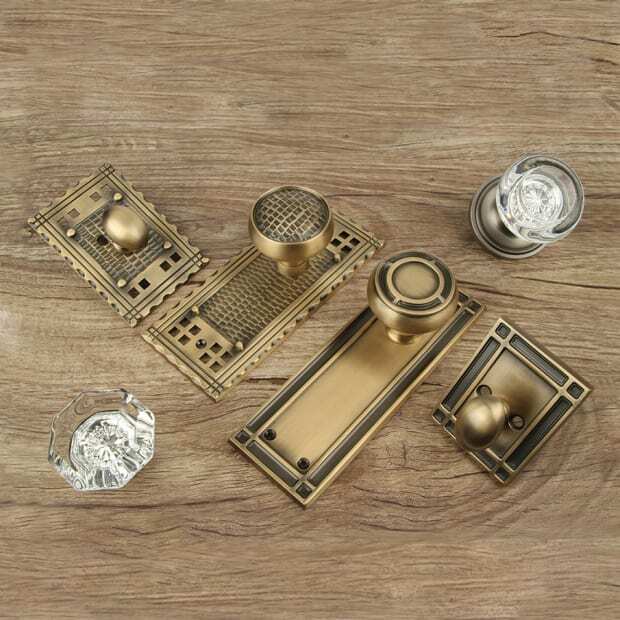 Designs were based on romantic themes drawn from the Anglo–European medieval past, or newfound Mayan or Aztec glyphs and Native American pottery, or the stylized forest scenes of Bavaria or Switzerland. 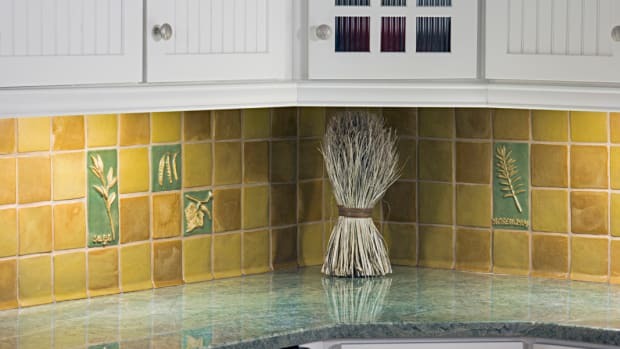 Centered above the firebox, scenic tiles as large as 8" x 16" provide a dramatic focal point. 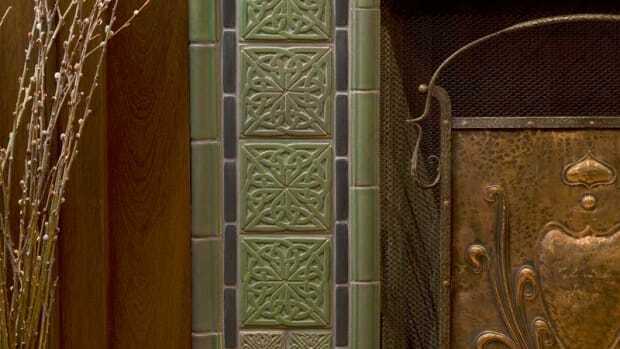 Smaller accent tiles on a given theme—flowers or vines, as examples—trail down the legs of the fireplace. One or two accent tiles may be artfully placed in random patterns. Late in the Twenties, art tiles in sizes from 2" x 2" to 12" x 12" were arranged in complex geometric patterns of appreciable rhythm and movement. An installation of tiles from the Universal Design Book No. 25 (1927) presents the same sort of design. 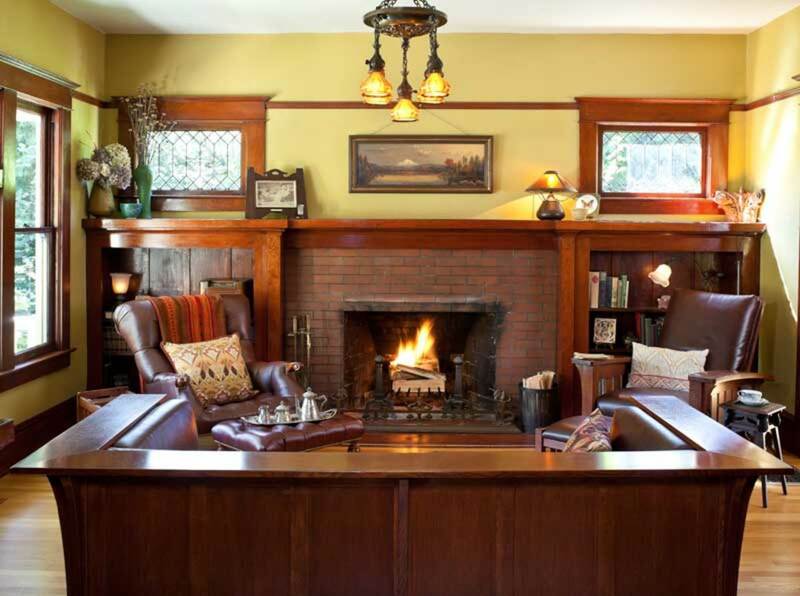 Homeowners could order an entire surround from a catalog, building the firebox to fit, or commission a whole fireplace. Today, you can take your ideas to a maker of small-batch art tile who will custom-design the tile to fit. For installation, be sure to hire a tile mason with plenty of experience with art tile. Consider scale, material, and especially craftsmanship for your new hearth.